Interact with real players playing live at stunning tables with amazing graphics. Take a seat and play in the world’s most glamorous casinos, from Monte Carlo to Las Vegas. Grab the golden trophy from each city as you earn your spot in the Weekly Tournament Series and, ultimately, rise up in the Hall of Fame and make your mark in the fabulous world of social casino gaming among players from all over the world! Think your Blackjack skills are up to speed? 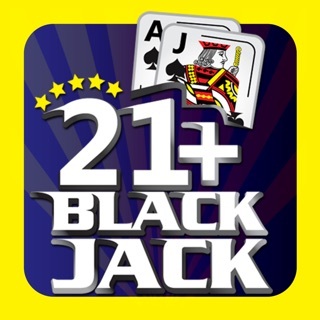 Find out now in the world’s most popular free Blackjack app! • FREE CHIPS - Hourly & Daily Bonuses await when you log in every day! • SIDE BETS – Win up to 25x with this exclusive feature that only we have! • TOURNAMENTS – Three-round winner takes all. Get ahead & collect trophies to enter our Hall of Fame. • LEADERBOARDS – Weekly leaderboard winners vie for a chance to collect massive prizes. • CASINO JOURNEY – Play in any of our seven casinos, from Athens to Monte Carlo, with high-roller stakes and bigger winnings the further you go! • VIP Prestige club - Within first purchase you can become a member and depending on the level (Bronze, Silver, Gold, Platinum, Ruby, Diamond or Black ) you will receive boosts in daily and hourly bonuses. • CHAT – Live interactive chat-box with players from all over the world. • CUSTOMIZABLE AVATARS – Which cool heroes will you be? • SIGN IN – With Facebook or as a guest (no registration needed as a guest). • PROFILE PAGE – One-touch access to your complete profile and status. ‘Store’ with real money. Chips and Diamonds cannot be exchanged for cash or be paid out in any form and can only be used to play our game. stunning and yet beautifully minimalistic UI design! and engaging in-game addition, just like at the real casino tables. total of 10 different leagues are available for you to conquer! game and raise the stakes! Do not pay any money in this game. The people leaving positive reviews for this game have to work for the developer, because there is no way to be successful in this game. I’ve been play real blackjack for years. The dealer in this game will beat you 8/10 times. If you catch a 12 or 13 and you hit you will bust 9/10. If the dealer has a bust card and you have say 18, the dealer will catch the card they need to beat you. If 3 people are playing the dealer he will also get the card they need to bet everyone at the table. Out of 10 hands you may win 2 times, but that’s a little on the high end. If you raise you bet you will lose. The amount of face cards and 10s the dealer gets is unrealistic and unfair to the player. If you win a hand then the next 5 hands or more you will lose until the game gets its money back. You can’t progress making bets. If you get lucky and win more then 5 hands in a round you need to stop playing for about a week so the system will stop targeting you to lose. I would give this 0 stars if I could. If you are playing this to help with or practice your skills for going to a casino, I would caution against it. It will give you a unrealistic idea of when to stand, hit, split, and double down. It will take away your logical Sense of a dealers bust cards 3 tho 6 showing. Over all this game is trash for anything but losing to the dealer. I’ve been playing this app for years, it’s the most realistic application if you’re looking for practice playing against the casinos. Jj649’s review is nothing short of false. Sure, the dealer wins about 51% of the time, but so do the casinos. 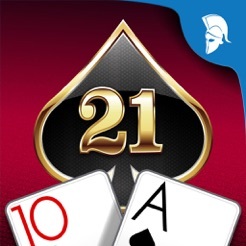 If you’re looking for an application that is going to give you the feel of playing in the casino then this is it. The other nice thing is you can bet large hands, other applications put maximum bets way too low to get the feeling most gamblers are looking for. Blackjack gotta win it all!!! 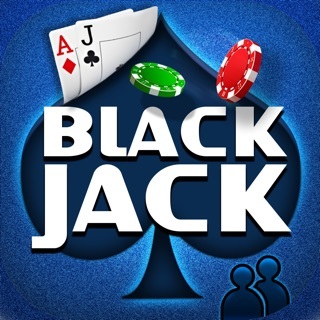 This black jack game Is worth the time if your looking for a fun way to play solo or with friends. I play this game with my lady and we loves it ! I’ve searched an Nothing can be found as far as a black jack game to be good. This game is the real deal looks very nice has the best play formats. Over all this game is truly amazing. 5star for one of the best free apps out there. Do you have what it takes to be the next Trillionaire!!! BlackJack Online - Just Like Vegas!